Your Fairfax, Virginia septic system is essential to the function of your residential or commercial property. Our team at Freedom Plumbers specializes in a variety of septic services including maintenance, repair, replacement, and installation. When your septic system is experiencing issues, it is not only inconvenient but could indicate that there are larger issues going on within your system that needs to be addressed by a professional. Just like any other standard appliance, your septic system needs to be serviced regularly to ensure its health. When not properly maintained, your septic system, specifically your septic tank, could need full-replacement. Our industry professionals are always ready to service your septic system with professionalism, so contact our team today for assistance with your septic replacement. Our team at Freedom Plumbers understands that when your septic tank is experiencing problems it does not let you conduct everyday tasks with ease. There are various reasons your septic system could experience a failure, but we are always capable of solving whatever problem is occurring. Septic systems are unique to the property they serve which means their composition and capacity to digest organic materials, remove solids, and separate floatable material is dependent on the size and material of your system. If you never have your septic tank pumped to clear your tank and ensure it can continue to do its job, your Fairfax, Virginia septic tank is prone to failure and replacement. There are various signs that can indicate your septic tank needs to be replaced including wastewater backup, moist areas on or around your drain field – especially during dry weather, pooling water around your property or basement, and strong or unusual odors coming from the area where your septic tank is located. 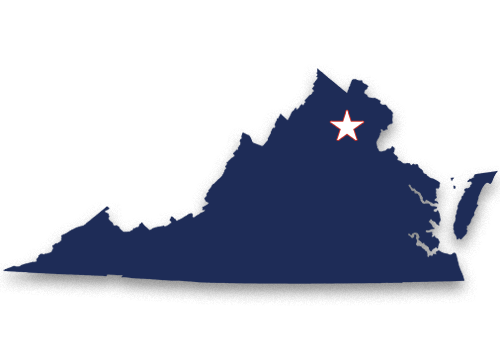 It is our goal at Freedom Plumbers to provide customers with the best septic replacement services in Fairfax, Virginia. Our septic replacement services are always safe due to the steps we take to secure the area, properly excavate, and restore your property to its former function. First, we will need to establish the city permits and the blueprint of your home that show us where your system is located on your property and the specifics of your system. Once your permits have been obtained and examined, we will understand how to properly replace your existing tank. The septic tank process involves excavation that allow our team to safely remove the tank and replace it with a new tank that lets waste flow into your new system with ease. When the replacement process is complete, our team will take the time to refill the area as well as restore the landscape to its former state. We never want to leave you with a large mess, so you can be satisfied with your results. 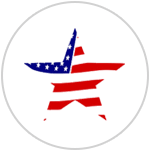 At Freedom Plumbers, we service customers in Alexandria, Arlington, Burke, Chantilly, Dale City, Dulles, Dumfries, Fairfax, Falls Church as well as Gainesville, Great Falls, Haymarket, Herndon, Leesburg, Manassas, McLean, Springfield, Stafford, Sterling, Warrenton, Woodbridge, Fairfax County, Virginia. We make the septic tank process easy due to our careful attention to detail and removal of your failed septic tank. If you are interested in our septic service, call our team of local experts today to schedule an appointment.